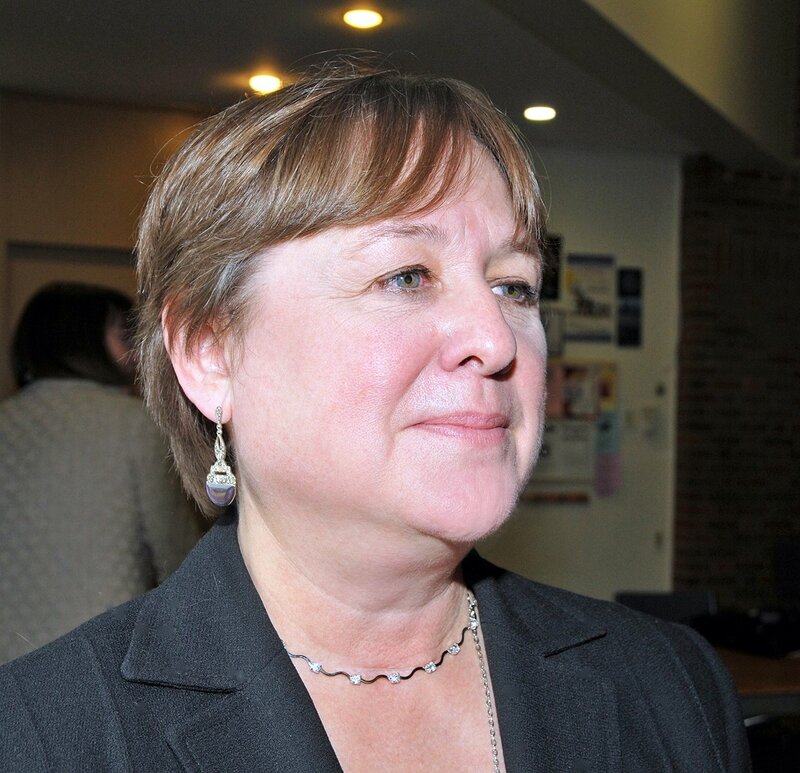 "Not one, but two conventions for school trustees are under way in Victoria at present. Two bodies meeting are Canadian School Trustees' Association and B.C. School Trustees' Association. 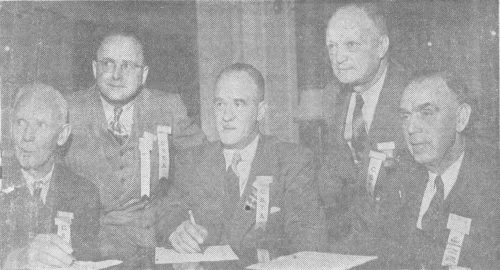 Attending meeting of the national organization, are, from left: H.E. Spencer, secretary, Comox; D.H. Montgomery, executive member, Halifax; J.V. Waddell, president, Montreal; A.G. Andrews, executive member, Edmonton, and John Barsby, past president, Nanaimo. Seven provinces are represented." The association's conventions provided the opportunity for Provincial Trustees organizations to exchange views on matters of common interest. At the PAPSB meeting in Lennoxville, Quebec, in the Spring of 1947, Mr. Whitehead and JV Waddell were appointed as delegates to the Canadian Education Association Convention taking place in Quebec City in September that same year. The CSTA and CEA conventions were regularly scheduled one after the other to enable more people to attend both. JV Waddell was appointed a Vice President of the CSTA at this first meeting and continued in that position until becoming President in 1949. The term for President was 2 years, but due to limitations imposed on him by his employer, Bell Canada, JV was obliged to step down at the end of his first year. In his role as President of the Canadian School Trustees' Association JV Waddell was once again called upon to give speeches and write reports of the various conventions and meetings he attended. The CSTA initiated resolutions on problems affecting teachers across Canada, forwarding a copy of these to every member of the House of Commons. The Association offers to cooperate with any Federal organization, such as the CTF, working in the interests of education. The most important issue discussed was Federal Aid for Education. Representatives of various Quebec organizations were in attendance. The Quebec association began publishing a quarterly Newsletter and received financial aid to help send delegates to educational conferences. Other areas of PAPSB activity relate to: Health progammes in schools, controversial legislation affecting school fees, teachers’ salary scales, an experimental alternative High School course, curriculum improvement, duties of supervisors of larger units, and school construction. Canadian School Trustees' Association approached the Federal Government for funds to further their work as they are national in scope despite education being a provincial responsibility. Progress towards the aims of the association included a resolution on Federal Aid to Education being introduced in the House of Commons. JV Waddell helped plan the programme for Canadian Education Week on invitation from the Canadian Teacher’s Federation. Contacts were maintained and information disseminated. Various directions for future action are suggested. Suggests the advent of television as a subject of discussion at the convention.